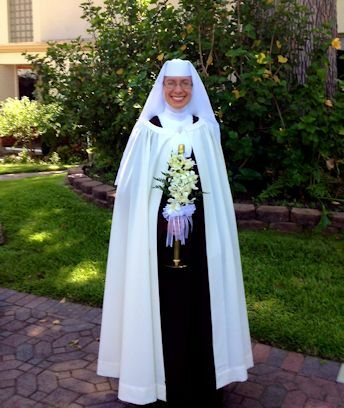 Sister Maria Goretti of the Sacred Heart, O.C.D. 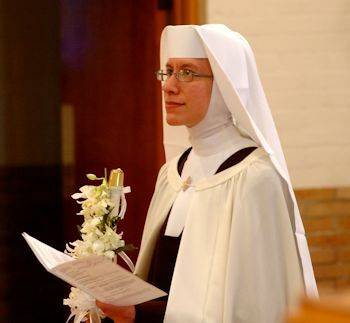 On July 16, 2013, the feast of Our Lady of Mount Carmel, Miss Lacey Flores made her First Profession of the simple vows of chastity, poverty and obedience as Sister Maria Goretti of the Sacred Heart, O.C.D., with the Carmelite Sisters of the Most Sacred Heart of Los Angeles. 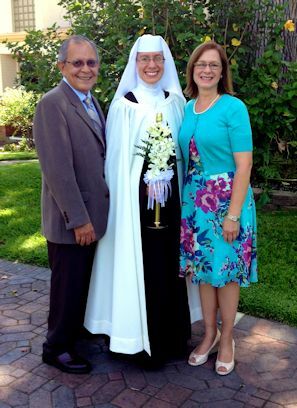 Sister Maria Goretti is a former parishioner of the Church of the Assumption in Franklin and is the daughter of Freddie and Sandy Flores, parishioners of the Church of the Assumption. She is a graduate of Hanson Memorial High School and Louisiana State University where she earned Bachelor’s Degree in Mass Communication: Public Relations with a minor in Business. 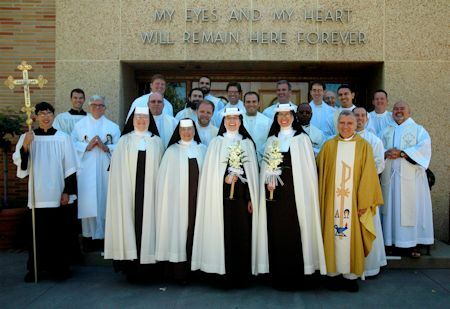 Reverend Patrick Angelucci, S.S.D.B., was the main celebrant for the Mass for the Rite of First Religious Profession at the Sacred Heart Chapel in Alhambra, California located at the Motherhouse of the Carmelite Sisters. Concelebrants from the Diocese of Lafayette were Reverend Michael Russo, Reverend Bryce Sibley, Reverend Corey Campeaux and Reverend Garrett McIntyre. 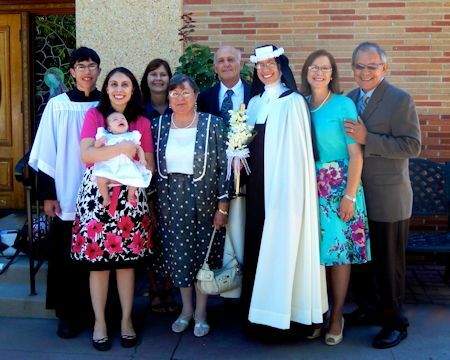 Russell Louviere, Jr., nephew of Sister Maria Goretti and an eighth grade student at Hanson Memorial High School, assisted as an altar server for the Mass of First Profession.